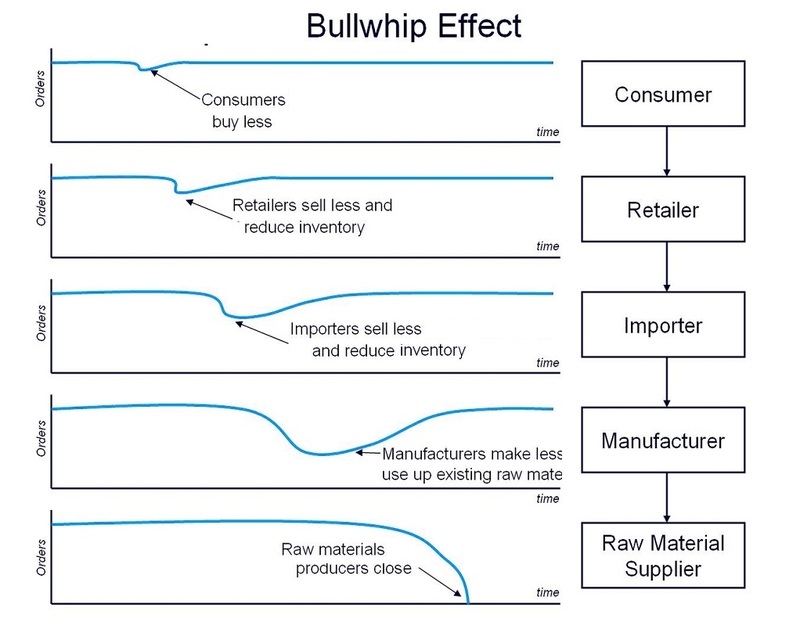 Bullwhip Effect – Bullwhip Effect Analysis – Bullwhip Effect Framework – Bullwhip Effect Business Methodology – Bullwhip Effect is one of the recongnized recurring issues whereby a sudden spike or a decline in demand from a customer results in much bigger effect on the supply chain. The longer the supply chain, the more pronounced is the effect with potentially huge variations and volatility for producers of raw materials. Understanding of this effect should limit managers mistakes when it comes to overproduction, ordering of goods and meeting customer demand. Below sample images are examples of Bullwhip Effect.